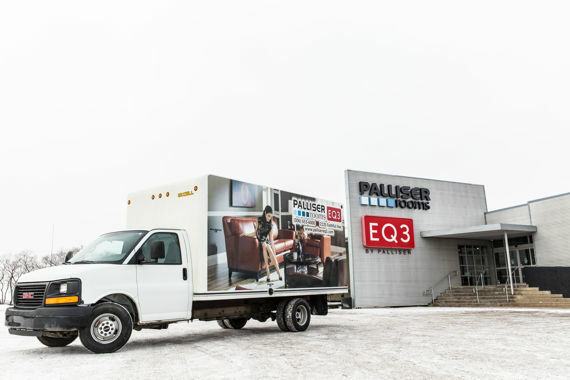 At Palliser Rooms / EQ3, we pride ourselves in having one of the best delivery teams in town. We don't outsource our delivery service, because delivering our product is one of the most important aspects of customer service that we can provide. Our delivery team has been trained in handling our products, and we also offer a full setup service. Let us setup your furniture for you and remove all of the packaging materials! When your furniture arrives, we will contact you to schedule a delivery time that is convenient for you. If you want to utilize our delivery service, and you did not let us know at the time of purchase, or if you need to make a change to your delivery time - just let us know by contacting the store!